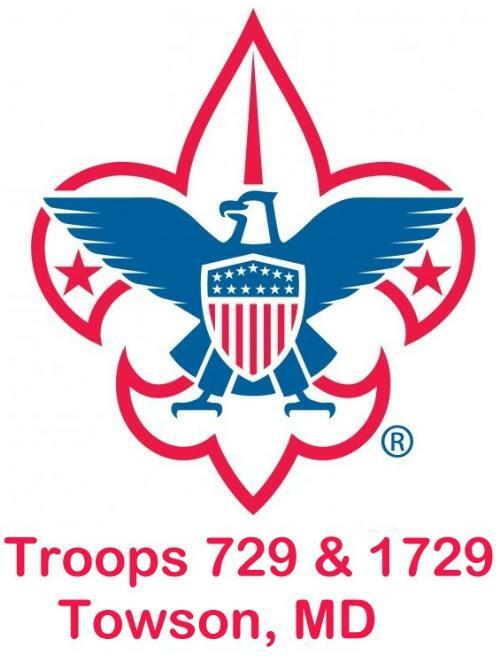 Troop 729, an all-boy troop has been active in the Towson Community for over 45 years. In February, 2019, an all-girl Troop 1729 was founded. Troops 729 and 1729 operate separately but are "linked" together to share various events, programs and outings. We enjoy a wide variety of fun and interesting activities including camping, hiking, backpacking, cycling, winter sports such as skiing, snowboarding & tubing and during the warmer months we go canoeing, sailing, & kayaking. We regularly go on high adventure treks to Philmont Scout Ranch, Sea Base, and backpack on the Appalachian Trail and other popular destinations. Scouting welcomes youth ages 11-18 who have a passion for the outdoors, exploring new interests, making new friends, and learning valuable life skills. Our program strives to build strong leaders and well rounded citizens by embracing the principles of the Youth-Led Troop and the tenets of the Scout Law. We invite you to peruse the pages of our public site to find out more about our troops! If you are interested in joining Scouts BSA (formerly Boy Scouts of America) or are a Webelos Scout ready to bridge to Scouts BSA, we understand that finding the right troop is a very important and personal decision. We encourage you to visit our troops during a regular meeting and even attend a weekend event. For more information or to make arrangements to visit our troops, please contact Troop 729 Scoutmaster Doug Williams dwilliamsbsa@gmail.com 443-865-0635 or Troop 1729 Scoutmaster Kimberly Labrique klabrique@gmail.com.